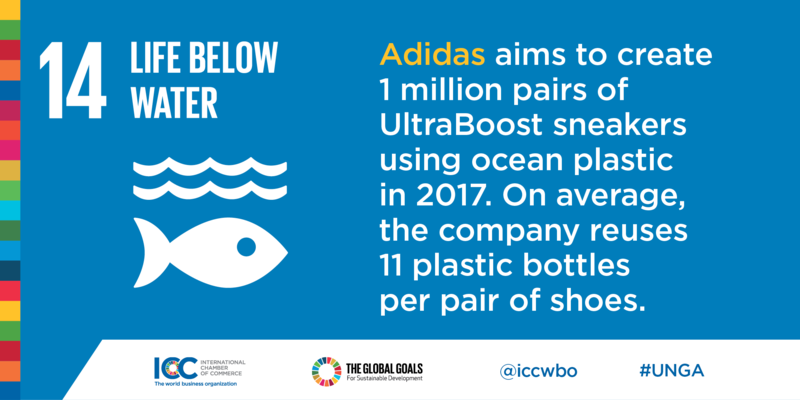 ICC, the world business organization, is marking World Environment Day by highlighting innovative companies around the world committed to banning plastic. Celebrated each year on the 5 June, this year’s United Nations (UN) World Environment Day brings the international community together in a commitment to ban single-use plastic under the theme #BeatPlasticPollution. Did you know that more than 300 million tons of plastic are produced every year, and that a staggering 10% of that ends up in the ocean? By continuing at this rate, there will be more plastic than fish in the oceans by 2050. With only 5% of plastics recycled effectively, lost material, clogged drains and polluted oceans cost the world economy up to US$120-160 billion each year. That’s why it is more important than ever for the private sector, governments and other stakeholders to work together to find solutions for effective, cost-efficient waste management. 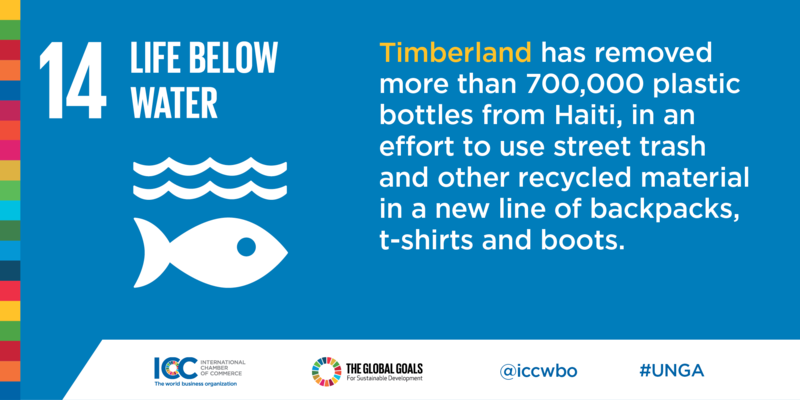 Going plastic free is not only good for the environment, it’s good for business. 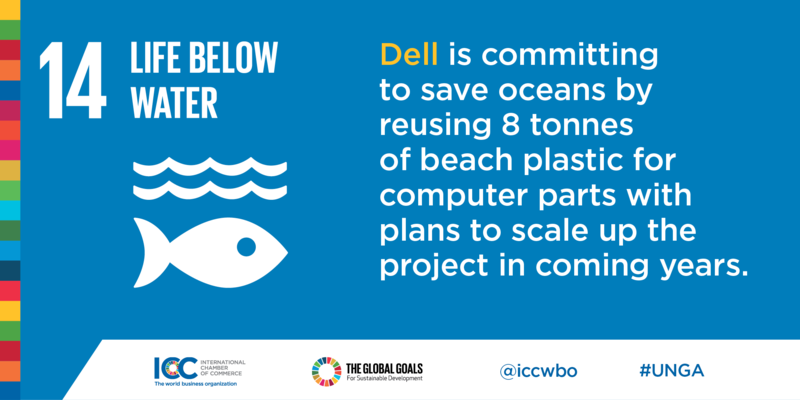 Business from all sectors, including shipping, oil and gas, fisheries, aquaculture, tourism, and offshore renewables, has a responsibility to come together in the fight against ocean plastic. 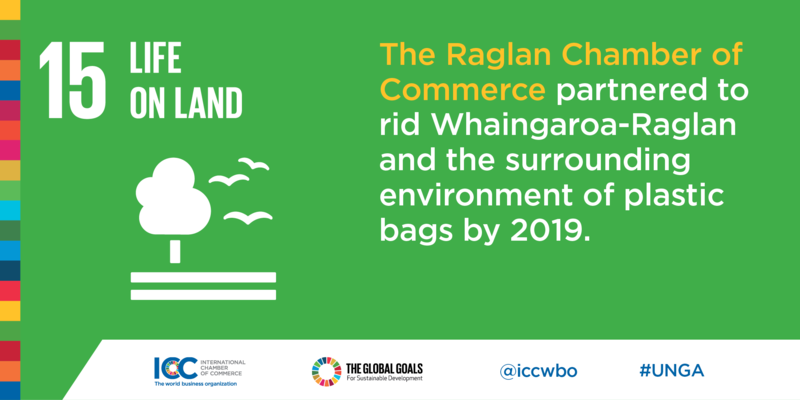 But companies on land are also playing an important role in reducing plastic waste, both for the protection of biodiverse regions and for the health and well-being of communities on land. 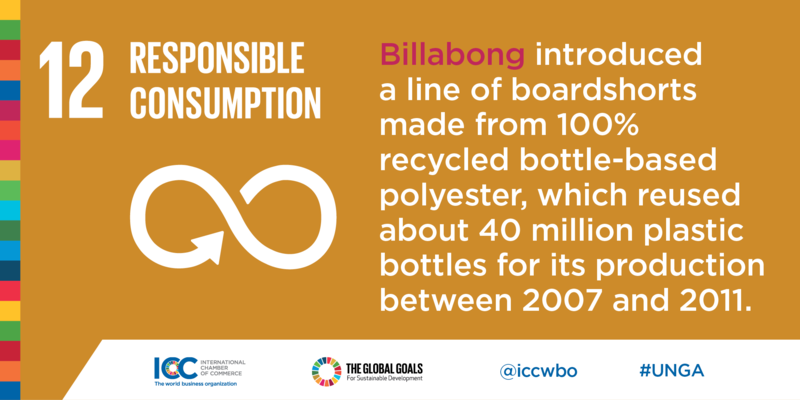 ICC, as the only private sector Observer to the UN General Assembly, works to promote sustainable economic growth and responsible business conduct, including maximising resource efficiency. What’s more, our work starts at ICC global headquarters in Paris where we are reducing our own plastic waste by issuing reusable drinking bottles to staff. How is your company working to achieve the Global Goals?